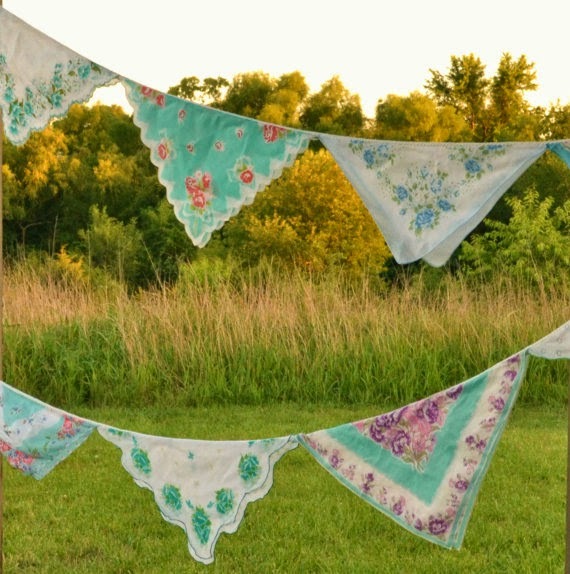 Homespun Stitchworks..... For the love of vintage: Wonderful vintage hankie ideas. 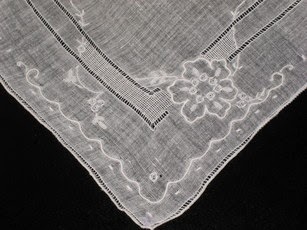 At the moment I am collecting vintage hankies to make a couple of bits with. I have been wandering around vintage fairs and Oh My! some of them are stunning. They can be so delicate with embroidery and little flowers or monograms. I have lots of hankies for sale ... I'm thinking I may keep them and make some bunting now! !